Whether you're looking for perfect eyeliner, beautiful eyebrows or luscious lips that will look great all day - everyday, Semi-permanent makeup expertly applied will give you just that, a procedure that can help you look 10 Years Younger without surgery! 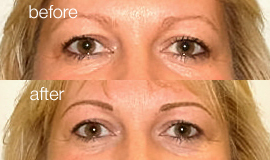 Semi-permanent makeup is an increasingly popular treatment whereby pigment is implanted into the skin using state of the art equipment. Pigments are perfectly colour matched to each individual's requirements and are expertly applied. This creates subtle, natural enhancements to compliment your features, adding colour and definition without the need for makeup. 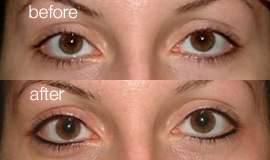 The enhancements can last for several years gradually fading out over time. A Consultation is needed prior to your treatment to colour match and asses which enhancement technique best suits your requirements. Our experienced in-house Medical Tattooist also specialises in Cosmetic Pigment Camouflage, known as CPC. This effective procedure is designed to help camouflage and disguise imperfections including birth defects and also scarring on areas such as areola re-pigmentation (after breast reconstruction), skin grafts, burns and cleft palate. The Rejuvi tattoo removal system is a unique method of tattoo ink extraction which is designed to completely remove tattoo ink pigments from both facial cosmetic and body tattoos. 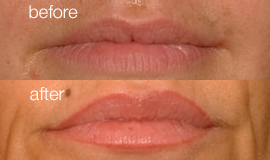 This treatment will remove all tattoo inks, unlike some laser removal systems that cannot break down certain colours. 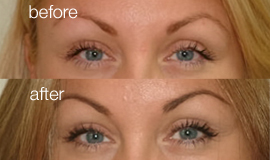 The Rejuvi system uses a patented fluid which chemically extracts the colour from the skin. After numbing the area, the fluid is injected into the skin using the same method as the original tattoo. The patented fluid enters the area and immediately bonds with the original tattoo ink, drawing it out of the skin using the body's natural immune system. The body rejects the new, larger substance pushing it to the surface of the skin. The formula then forms into a thicker substance, which the skin easily pushes out taking the captured tattoo ink with it.